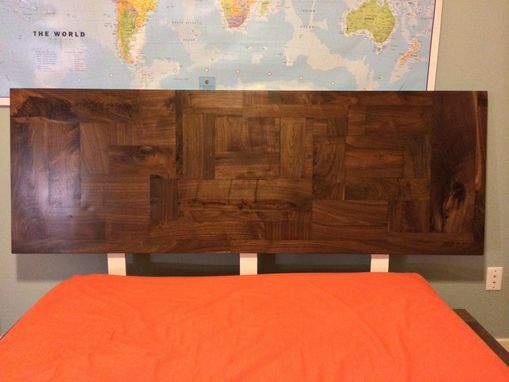 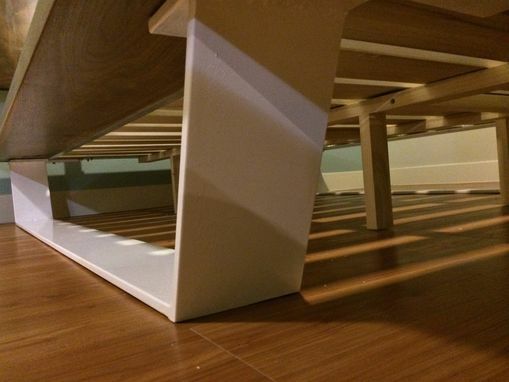 This is a custom made walnut platform bed with a powder coated steel leg base which comes apart and can be reassembled easily by way of threaded inserts for all bolts that mount the wood to the steel frame. 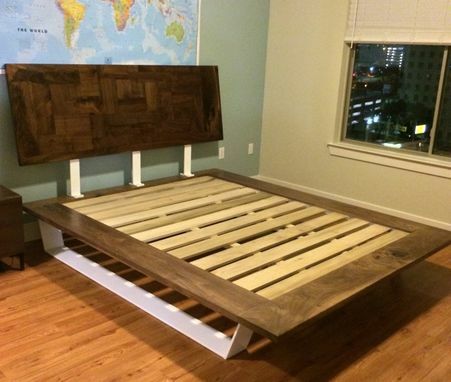 Both modern and functional, this platform bed has a solid weight that will not shift the wood or move it from its place. 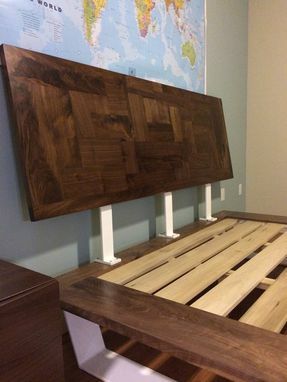 The headboard is the center piece boating over 40 pieces that have been edge glued to create a puzzle or tetris-like headboard. 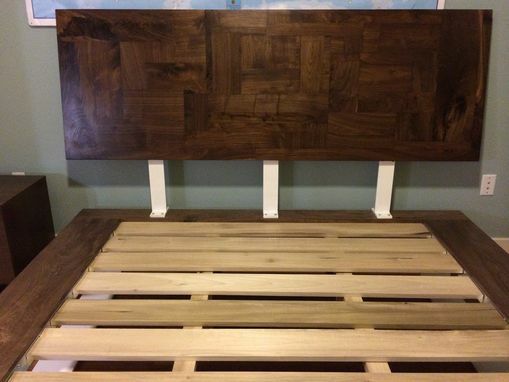 The walnut is finished with a waterlox finish of 4 coats and the steel framed legs are all powder coated to a color specified to your liking.